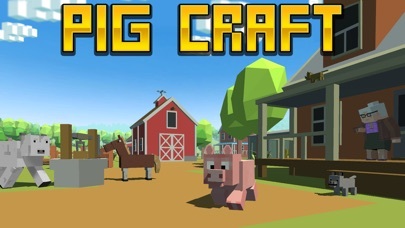 Be a pig in Blocky Pig survival Simulator 3D! Start your survival right now, with our pig simulator. We like pigs and do our best to make great animal games. Have your own blocky animal, that you can feed, and craft with! Choose simulator's mode that you like more - animal survival or quests. The both are funny. Create your craft strategy. Blocky pig in the simulator is better than real animal! Be a good blocky pig, or crazy pig - it is up to you. Have you ever dreamed to be a pig? In our survival simulator we offer you to craft for the blocky animal. 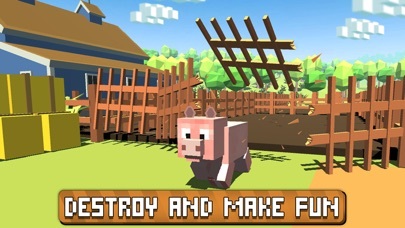 Become a pig and run across blocky locations! 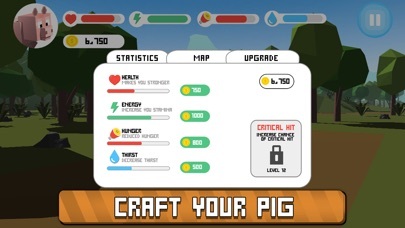 Maintain your pig energy, survival in the blocky world is not easy for animal. Sneak into a farm. Fight for survival with every animal you meet and craft. Your blocky pig can even die in the simulator. Craft to levelup your animal. Finish all quests - in the blocky survival simulator they can be challenging, but funny. 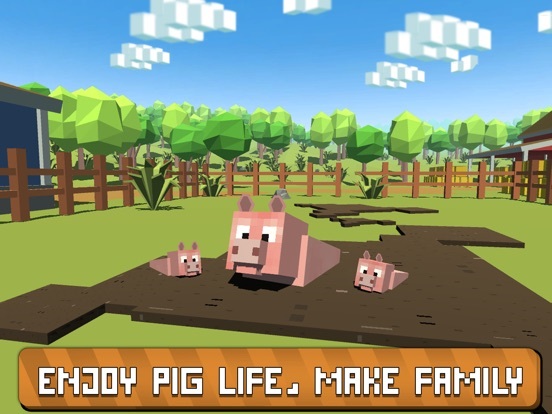 Blocky Pig survival Simulator 3D has special animal sounds. Run and listen, deep into craft and survival. This survival simulator has a map and a guide inside. Simulator controls allow you to run, fight and craft. Read how to ride your animal and many other things. You will meet a lot of animal species in the survival simulator. 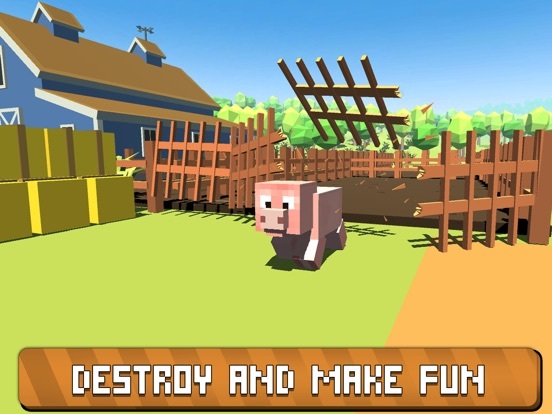 Live the life of the animal in blocky world simulator. Craft, fight and complete quests. Find an animal mate and breed a new blocky pig. Develop a survival strategy against wild and farm animals. 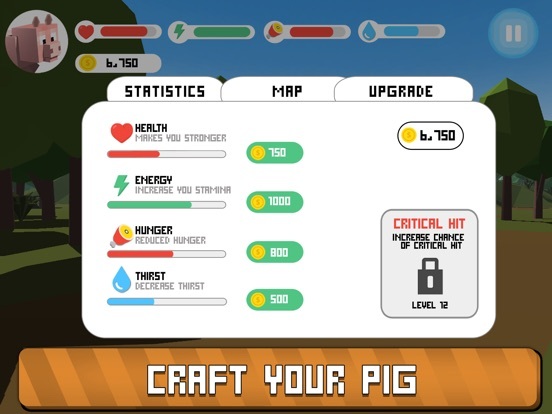 Level­up a pig in simulator to improve craft and survival skills. 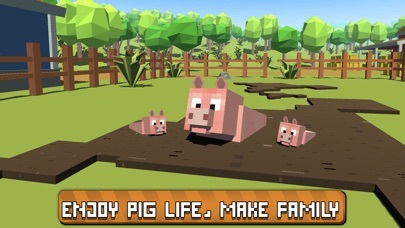 Or find other blocky pigs and start a family. Farm next levels to open new survival skills in the animal simulator. Craft like a pig. Animal survival games are so great! 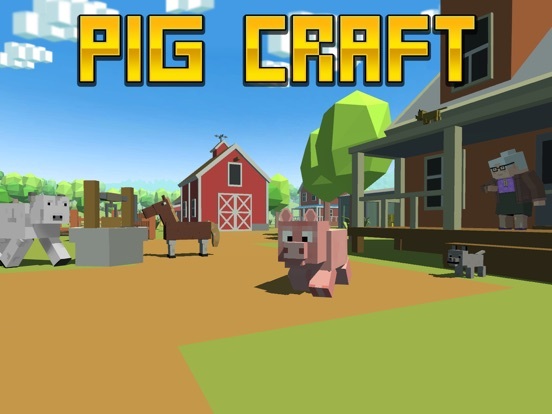 Try our Blocky Pig Simulator 3D, be a pig and explore a big beautiful world!